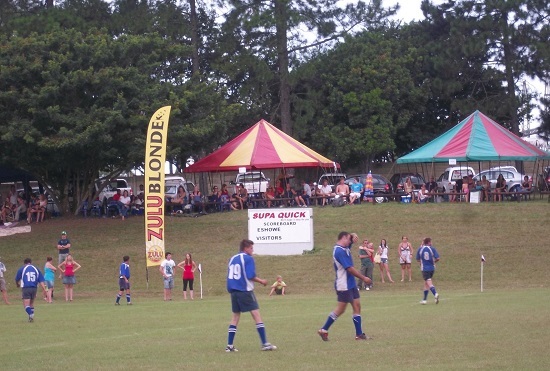 In the middle of March every year, the Bozas Cup is contested at the Eshowe Sports grounds between a dozen or more teams from the surrounding area and as far afield as Pietermaritzburg, Pongola and Durban. With the unique use of 20 minute matches, the round robin format brings together the two group winners in a hotly contested final late in the afternoon. The local Eshowe team has a great record in this 45-year-old event, (which has nothing to do with home-town refereeing decisions) that was started with sponsorship from the Bozas Bakery.